We’ve been getting some fantastic images from the Cassini Spacecraft this year as it orbits Saturn, and one of its latest image from the ringed planet is no less stunning. 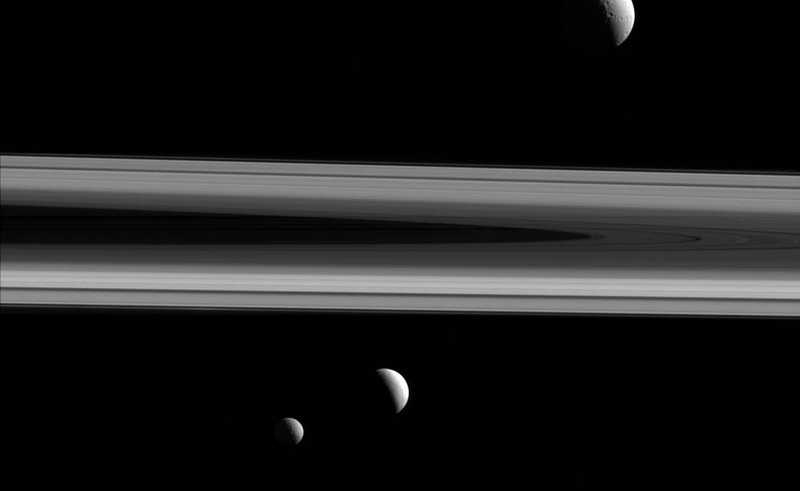 Tethys, Enceladus and Mimas can be seen alongside Saturn’s rings. The picture was taken in early December, 2015.